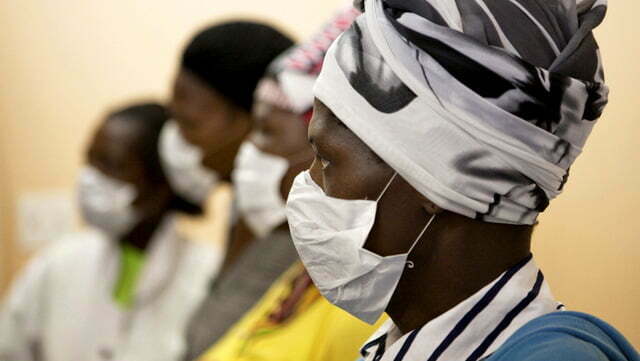 Patients with Tuberculosis (TB) should wear masks while awaiting consultation at all health facilities. But due to limited funding by the government in equipping the health facilities with surgical masks and respirators, brave health care workers have a fierce determination to continue to care for patients risking their own lives and feel it is their national responsibility to take care of their own people. Courtesy Photo/Reuters/Finbarr O'Reilly. Health workers in Jinja district are living in fear of contracting Tuberculosis (TB) as a result of handling patients without protective gear. Our reporter visited some health facilities in Jinja and found nurses treating TB patients without surgical masks and gloves. 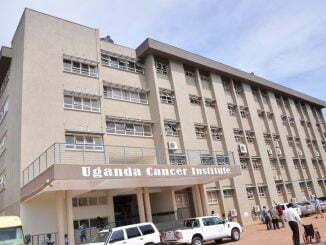 Jinja Regional Referral Hospital has registered an increase in the number to TB patients over the last three months. 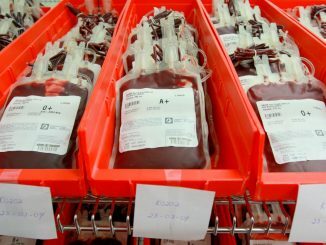 Florence Anyait, the in Charge of the TB Unit, says they registered 110 TB patients between January and March this year compared 60 cases registered between October to December last year. According to Anyait, despite the high number of TB cases, the hospital last received surgical masks and respirators two years ago. Gertrude Nakazibwe, a Nurse in the TB ward, says they also lack containers to store sputum samples, which compromises their health. Nakazibwe notes that two of her colleagues have already contracted TB, which has affected their immune system. She asks government to consider supplying eggs and milk to TB units like they used to do five years ago to boost the immunity of health workers. Samuel Muchwa, a laboratory technician at Njeru Health Centre III, says they operate in a very small place, which compromises the health of the medical workers. Dr. Frank Mugabe, the National TB and Leprosy Programme (NTLP) Manager, acknowledges the challenges the health workers are facing. 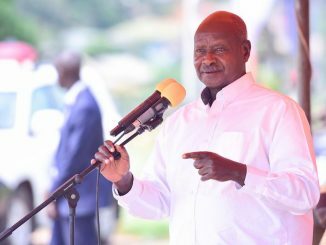 A program review conducted in 2013 indicates that less than $30,000 (about Shs85m) is allocated by the government to NTLP and about $2m (Shs5b) to the National Medical Stores (NMS) for TB drugs. He however, notes that the allocations excluded funds for TB reagents and a laboratory supply, which resonates with the limited funding at a time when the country has about 400 multi-drug Resistant Tuberculosis (MDR) patients. Mugabe says that NTLP is currently conducting a nationwide survey aimed at understanding the exact number of people infected by TB, understanding the challenges health facilities face while treating patients among other issues. He says that through the survey, government will be able to refocus the areas of funding and address challenges facing the health work force. Efforts to get a comment from NMS spokesperson, Dan Kimosho on the failure to supply respirators to health facilities were futile as he is in Kenya for official duties. The programme manager argues that for TB to be controlled, it has to be looked at as a national epidemic, which is in line with the Maputo Declaration of 2005 where African countries were advised to do so. TB, the world’s top infectious disease killer, claims 5,000 lives each day, according to World Health Organization (WHO). According to WHO, Poverty, malnutrition, poor housing and sanitation, compounded by other risk factors such as HIV, tobacco, alcohol use and diabetes, can put people at heightened risk of TB and make it harder for them to access care.